On this page, you’ll find a collection of work by previous #immjma graduates. Current and prospective students should take the time to view to gain an understanding of the practical nature and the possibilities that the program presents. Students complete practical assignments from their very first week. We start the first term with a series of weekly short-form tutor directed assignments. In the second and third term, alongside advanced workshops, students progress to self-directed, longer-form digital visual multimedia features, working independently with tutor guidance. We also schedule a two-week-long, intensive practical workshops where students work collaboratively on group projects. In the second term, this collaborative project is produced in cooperation with one of our media partners. In recent years our partners have included CCTV, China Daily, and Asia News Network. You’ll see a variety of digital visual multimedia features, from single page scrolling stories; websites; iBooks; interactive games; short form documentary and more. What makes these projects stand out is the quality of reporting and final presentation. They achieve the program’s goals of innovative, compelling and important stories told well. Newspaper legend Joseph Pulitzer, the father of writing’s famed Pulitzer Prizes, summed up the essence of good and powerful writing, and we think this still applies today — especially in a multimedia context. Yang Enzi’s #immjma cohort ’13/14 short-form documentary – Dreams on Freewheels – about the seven members of the China Disabled Track Cycling Team was awarded the third place in World Press Photo‘s 2013 Multimedia Contest. Enze followed the team training to compete in the 2012 London Paralympic Games. They won six gold medals, four silver medals, and five bronze medals. 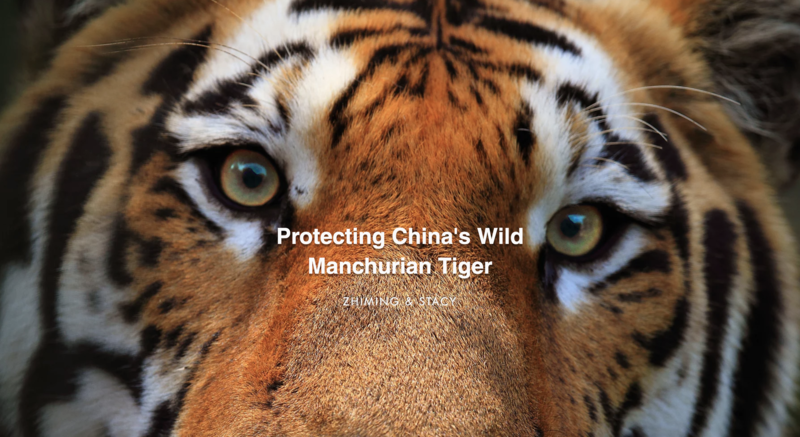 The documentary was the major component of Yang Enze’s final Term 3 project. Sun Peng #immjma cohort ’13/14 produced and published a powerful multimedia feature for China Daily about Parents who have lost their only child. This disadvantaged and marginalized group numbers around one million people. Peng’s multimedia project presents the challenges they face, such as finances, physical and mental health care, as well as struggles with government policies. These parents talk candidly about their stories and the efforts they’ve made to improve their lives. The work, Life After Loss, was submitted as Sun Peng’s final Third Term Project. 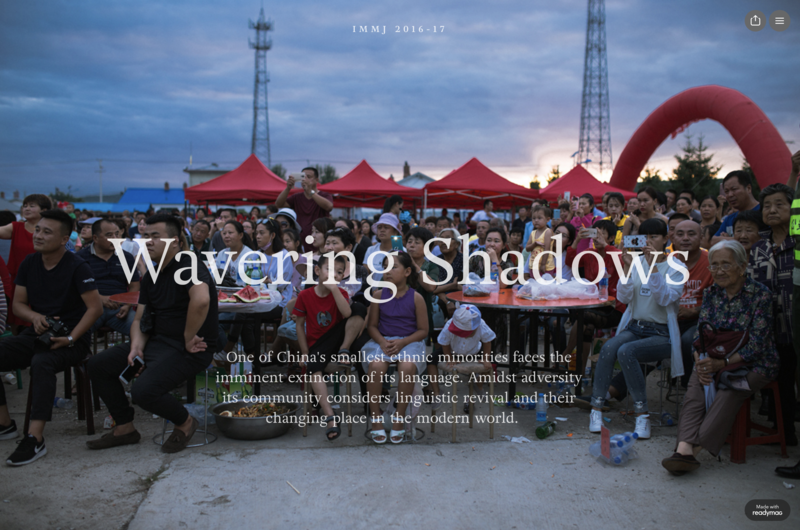 Nathan Gibson and Hillary Pan #immjma cohort ’16/17 final multimedia feature story ‘Wavering Shadows‘ is about the Oroqen, one of China’s smallest ethnic minorities. The community currently faces the imminent extinction of its language. Amidst adversity, its community considers linguistic revival and their changing place in the modern world. Vera Peneda #immjma cohort ’14/15 focused on feminism in China throughout Term 2 & 3. The video component of her final project was screened on CCTV’s Assignment Asia, the story follows three women of different generations from a single family, each with a story that represents the changes in China, from one era to the next. You can see Vera’s full Term 3 work here. Group works – 2016-17 #immjma cohort worked on a ‘live project brief’ for China Daily and Asia News Network during the Term 2, two-week intensive workshop. Students were briefed to produce a 6-part video series exploring disability issues in China. In teams of three, students covered topics like education, work, discrimination and access through a series of character-driven short videos. Student teams worked ‘shoulder to shoulder’ in the field with a selection of freelance and organizational professionals to plan, film and edit. Disability is an undercovered topic in Chinese media and we worked together with disability media expert, Cai Cong to ensure best ethical practices on reporting diversity. Cai Cong co-authored research in 2013, which revealed that Chinese media reports largely focus health or rehabilitation of people living with disabilities or the help they receive from others, rather than tackle issues about education, employment, and participation. Few reports actually featured or represented the voices of people with disabilities themselves. Our character lead series is very successful so far with lots of engagement and over 20 thousand views on the first upload. 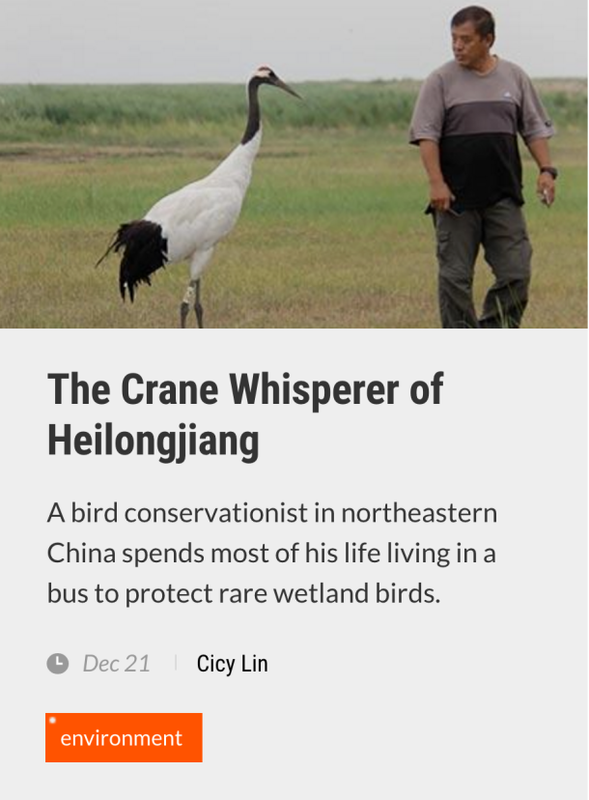 Cicy Lin published part of her final Term 3 project, The Crane Whisperer of Heilongjiang, with Sixth Tone, a Chinese, English Language cutting-edge new media organization. Cicy followed various environmental stories throughout her studies and was headhunted for professional work before she even graduated – largely in part to her quality Term 2 and 3 projects, as well as the fact that she produced socially shareable versions of her projects which were widely published on social media. She is currently continuing her love for both the outdoors and filming and working as a producer for environmental mini-documentaries. Andrea Verdelli‘s Term 2 project explored how three families in Beijing cope with pollution, some fight, some take flight and some flee altogether. 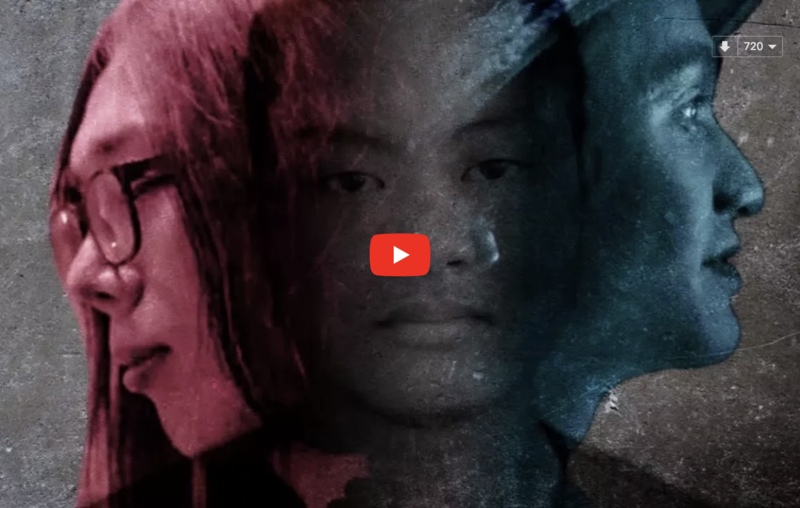 It’s chiefly a text and photo project but a creative double exposure video teaser was designed for social media sharing to drive the audience to the longer text feature. See the full project, Red Alert, here. 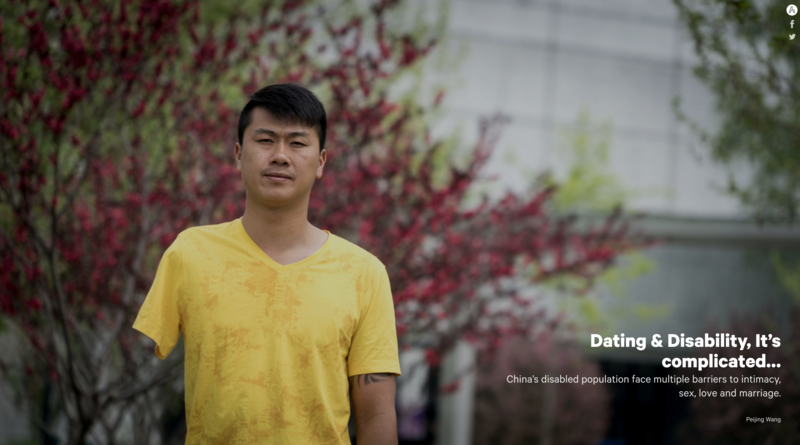 Peijin Wang, produced a text, photo, and graphics based story based on the intricacies of disabled dating in China for his Term 2 project. See Dating & Disability, It’s Complicated, here. 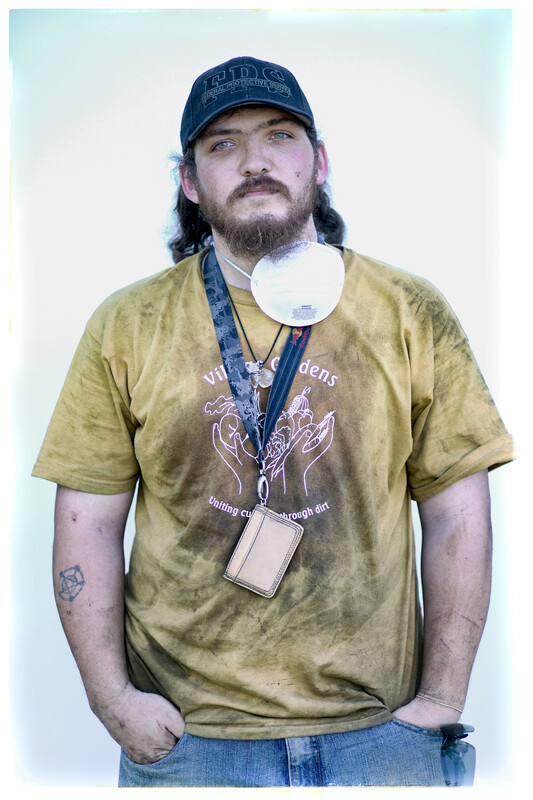 Jeff Kennel produced a multimedia book (originally produced as an iBook) documenting the gardeners of Seeds of Harmony garden in New Columbia, Portland, Oregon. Group works 2015–16 students produced and published multimedia stories for CCTV’s China StartUp series. Student works were broadcast and published online on multiple platforms. Each year IMMJ students team up with working professionals for a short practical field workshop. Vict Zhang produced a multimedia project featuring a Tibetan School in rural Qinghai. The story explores minority culture and education system in contemporary China. See the introduction video below and the full project at Plateau Drams. Lester Xu documented life on China’s islands in Term 3. Lester started the project in Term 2 when he traveled to Kaishan Island to meet a couple who spent two decades living in isolation in order to serve their country. © 2019 International Multimedia Journalism MA. All Rights Reserved.